It is well-known that young hero Raj Tarun will be seen in the role of a visually challenged man in his upcoming romantic drama, Andhagaadu. The film was Censored recently with a UA certification and the short runtime of just 2 hours and 12 minutes is a great advantage for the film’s box-office prospects. As per the latest update from the film’s team, Raj Tarun’s visually challenged role in the movie will last for only 30 minutes. 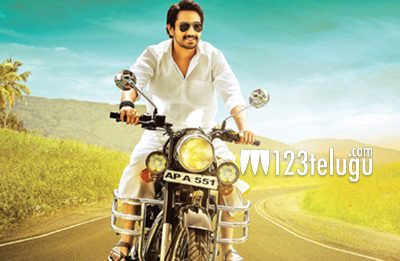 Even the film’s trailer reveals that Raj Tarun is a visual impaired man initially, but gets his sight in a dramatic twist. What follows later forms the rest of the story. Hebah Patel is the film’s leading lady. Writer Veligonda Srinivas is making his directorial debut with Andhagaadu, while popular Producer Anil Sunkara has bankrolled the project. The film is slated to hit the screens on June 2nd.